The Grand Canyon runs nearly the full width of the State of Arizona. Its beautiful and distinct vistas vary mile after mile. Many areas of the state have been home to small herds of mustangs. 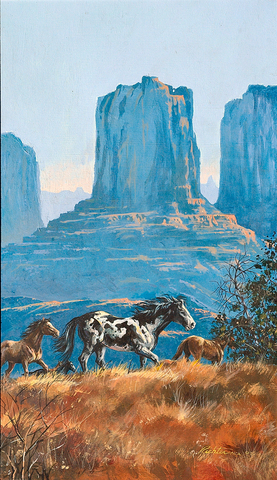 These wild horses hold the “mortgage” on some of the most picturesque, but desolate, landscape, such as the canyons pictured here.